Congratulations to Denise Heinze, who is one of our runners up in the Winter 2013 Flash Fiction contest with her story, "The Pact." Two women make a pact to do something--to find out, read her story! If you haven't had a chance to read "The Pact" yet, you can read it here. Denise doesn’t know what she loves to do more—teach literature or write it. 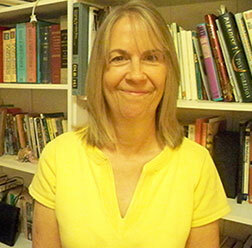 But since the two aren’t mutually exclusive, she enjoys the best of both worlds as an English professor and an author. Whether discussing fiction or creating it, she finds the written word the Route 66 to self-discovery. A PhD graduate of Duke University she lives in Durham, North Carolina and teaches at North Carolina State University. She writes fiction, creative nonfiction, memoirs, and poetry. She is especially partial to historical fiction and has written a novel about her ancestor, Louisa May Alcott. Her work appears in Now and Then, Thought and Action, Reunions, Short Stuff Magazine, and Gemini Magazine. WOW: Welcome, Denise! "The Pact" is a humorous look at what could be a very serious topic--older people who want to commit suicide before illness or old age overtakes them. What made you want to give it a humorous spin? Denise: Laughing at something disturbing seems to have the effect of generating power over it, if ever so fleeting or illusory. There’s nothing inherently funny about suicide, of course, or death. But these women choose not to be paralyzed by their fears, which is less about death than the deterioration of their bodies and eventual loss of dignity that might result. Their comical attempt to end it all is a celebration of their valiant efforts, not to die, really, but, in their fearlessness and independence, to live their lives to the hilt. WOW: What was your inspiration for this story? Denise: Well, I’m not exactly a spring chicken, so thoughts of my own mortality tend to seep through that brick wall of denial most of us construct against death. I wonder how I might face it once I reach that point (hopefully not for a very long time), which has led me to wonder how others do. WOW: How do you feel entering contests helps writers with their writing and/or their career? Denise: Contests provide writers with a deadline. Deadlines are motivating. So is the potential for monetary awards, recognition and possible publication. WOW: Deadlines are fantastic! Besides placing in the WOW! flash fiction contest, you have quite a bio! You have a PhD and teach literature at North Carolina State University. How does teaching literature help with your own writing? Denise: It’s a continual workshop, of sorts. I have the distinct privilege and pleasure of teaching the greatest American writers to bright and engaged students, so I am continuously analyzing what these authors write about, how, and what actually works with a 21st century audience. But on the flip side, creative writing helps me teach the literature as well, since I know first-hand what it means to compose the very phenomenon I teach. That’s a unique perspective afforded my students, one I offer in addition to my experience writing about literature, as a scholar. WOW: And your ancestor is. . .Louisa May Alcott? That's amazing. Tell us a bit about the book you've written about her. Denise: I take some real liberties with Louisa May—I hope she isn’t turning in her grave! It’s a kind of mash-up: I wonder what would have happened had Louisa May met and befriended Harriet Jacobs, the former slave from North Carolina whose remarkable story includes striking a secret bargain with one white man in order to avoid the licentious and perverse harassment of another. When that deal falls short, Jacobs hides out in her grandmother’s attic for nearly seven years before she finally escapes north. WOW: That sounds like an amazing story. I would love to read that. (smiles) So, what's next for you? What are you working on? Denise: I’m having great fun with flash fiction, and I’m trying my hand at poetry. WOW: Thank you, Denise, for taking the time to talk with us today. Margo--Thanks for the interview, and Denise--the idea of a fictional mash-up is intriguing. I will now head over and read "The Pact."